Note that the ADD command must be used to set the cell format before using the WRITE command. Remember to add this code before the ExcelService WRITE command is processed. 3. Recompile function iiiFN13 and retest. Note that the Salary column is now formatted correctly, but the right hand border for the Salary column has been lost. 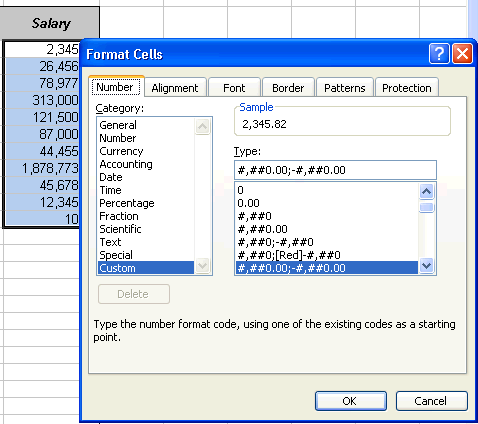 You can check the format of the Salary column by selecting the cells and using the right mouse menu / Format Cells.